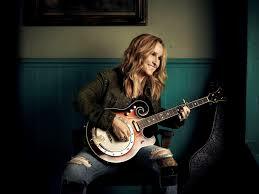 Melissa Lou Etheridge (born May 29, 1961) is an American singer-songwriter, guitarist, and activist. Her self-titled debut album Melissa Etheridgewas released in 1988 and became an underground success. The album peaked at No. 22 on the Billboard 200, and its lead single, “Bring Me Some Water”, garnered Etheridge her first Grammy Award nomination for Best Rock Vocal Performance, Female. In 1993, Etheridge won her first Grammy award for her single “Ain’t It Heavy” from her third album, Never Enough. Later that year, she released what would become her mainstream breakthrough album, Yes I Am. Its tracks “I’m the Only One” and “Come to My Window” both reached the top 30 in the United States, and the latter earned Etheridge her second Grammy award. Yes I Am peaked at No. 15 on the Billboard 200, and spent 138 weeks on the chart, earning a RIAAcertification of 6x Platinum, her largest to date.